What is Footer Copyright Removal? 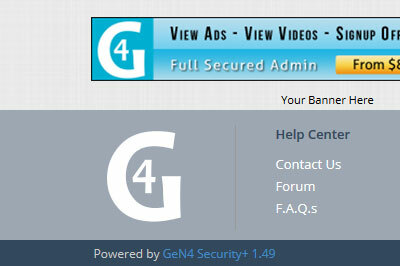 In the footer of your GeN4 product you will see linking identifying you are operating a GeN4 site. It shows your site's version and also URL links back to PTCPay.com. This linking must remain entacked at all times on your site unless you purchase this addon. Unauthorized removal of your footer copyright linking will result in your GeN4 license becoming suspended. What Are The Benefits of Operating With This? 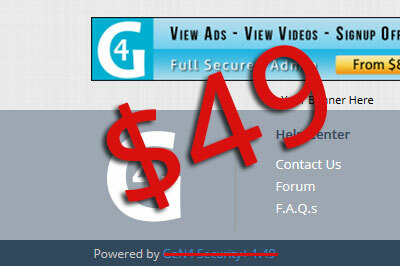 GeN4 is so editable that if you have this addon, you can make your site look totally unique and brand your own name instead of promoting ours. Sites who are heavly designed and/or modified have a higher success rate in this industry and having your own copyright in place will add a level of professionalism to your business.